Canon M5 and M6 APS-C Mirrorless have access to the full range of EF lenses. The adapater is to me a non-issue because dual pixel AF on the Canon latest sensor makes DSLR lenses operate just as well on mirrorless as on DSLR. Even more, because the entire sensor is now PDAF enabled, more complex scene recognition is possible on mirrorless. Yes, eventually on sensor PDAF will be superior to DSLR PDAF and I would argue that Canon is ahead of everyone. In one move, Canon mirrorless can use DSLR lenses as if they were native. My SHG and HG FT lenses from Olympus are just OK when paired with the latest and greatest Olympus mFT bodies. There is no upgrade "pains" nor any transition pains when moving back and forth for Canon users. 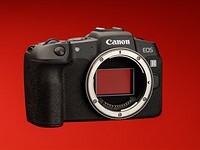 Yes, Canon has been slow rolling but they have shown that they don't lack the capability. They don't want to bring them to market "just yet". Given recent Nikon announcement, it seems like both Canon and Nikon decide to wait until the mirrorless market "matures" and then they jump in fully. Nikon tried going bottom up with 1 system and failed so now they're going to go top down with their mirrorless strategy. It seems like Canon will stick with their bottom up strategy. The M5 is equivalent to a slightly crippled 80D. I expect their next major model will be equivalent to a 7Dmk3 but slightly less.